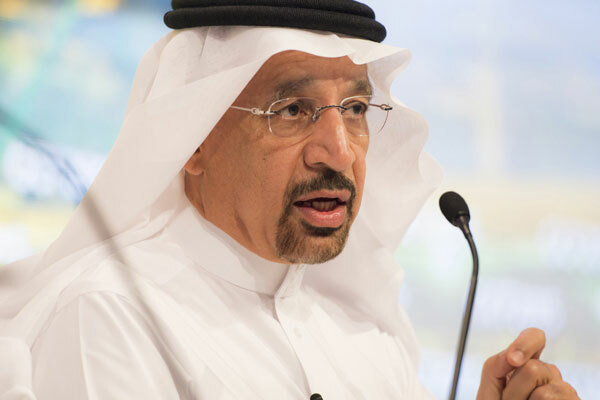 Saudi Arabia will invest up to $50 billion by 2032 in a renewable energy programme to be launched in the few weeks, said Energy, Industry and Mineral Resources Minister Khalid Al-Falih at the World Future Energy Summit in Abu Dhabi, UAE. Al-Falih said at that the Kingdom would start the first round of bidding for projects under the programme, which would produce 10GW of power, reported Arab News. Saudi Arabia is in the early stages of studying its first two commercial nuclear reactors with a total of 2.8GW, he added. The minister also said Saudi Arabia was working on ways to connect its renewable energy projects with Yemen, Jordan and Egypt. “We will connect to Africa to exchange non-fossil sources of energy,” he said. The step falls into the country’s targets set in Vision 2030, launched last year to prepare for a post-oil era following a plunge in oil prices. Saudi Arabia, the world’s largest oil exporter, plans to reduce its reliance on oil and diversify the economy by moving toward sustainable sources rather than depending on fossil oil, the report said.